Civil-isation - Why's it for me? Why's it for me and how will I gain? A benchmark - not an organisation. 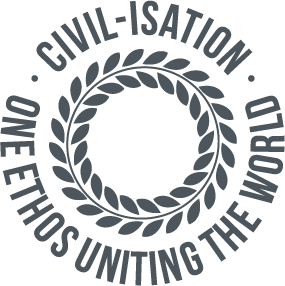 CIVIL-ISATION is really a platform, reaffirming a 'spirit' and certainly not an organisation. Though many seek leaders to provide 'action committees' for short-term goals and noisy campaigns, CIVIL-ISATION is different, working outside the usual sound-bite culture towards a deeper realisation. By contract, a personal commitment is sought by each of us as individuals, in the understanding that as a consensus develops, the potential is there for a slow and powerful cultural change. 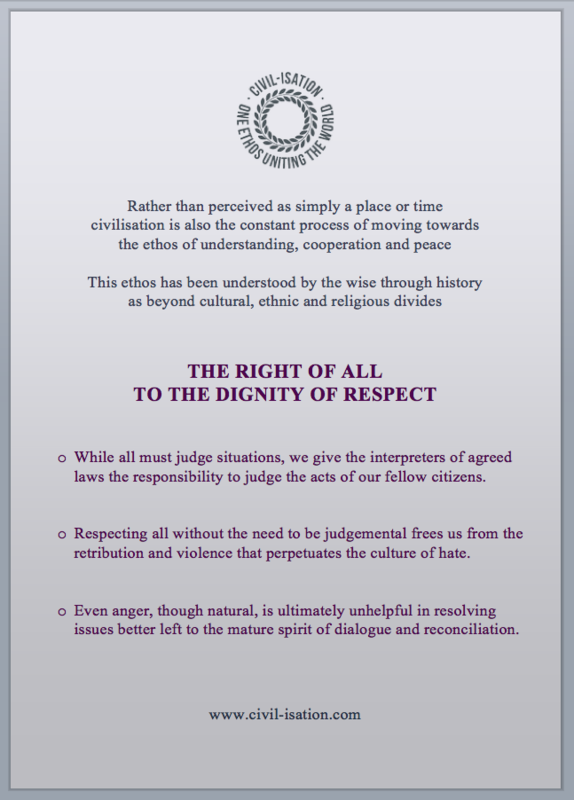 🌍 Discovering the capacity to respect all without judgement is personally deeply liberating and arguably the path to lasting peace. 🌎 When like-minded individuals come together in this shared understanding, there is new incentive to cooperate and reinforce the complex network of civic organisations that make democracy function properly. "We need a spiritual revolution more than a political one . . I believe profoundly in the power of humanity in connecting . . I think this is a change in consciousness that we are all experiencing meaning we will survive."